Pretty Caucasian Young Girl In Yellow Raincoat Standing In Corn Field With Transparent Umbrella. Woman Checks If It Is Raining. Autumn Day Concept. Foto Royalty Free, Gravuras, Imagens E Banco De Fotografias. Image 113058859. 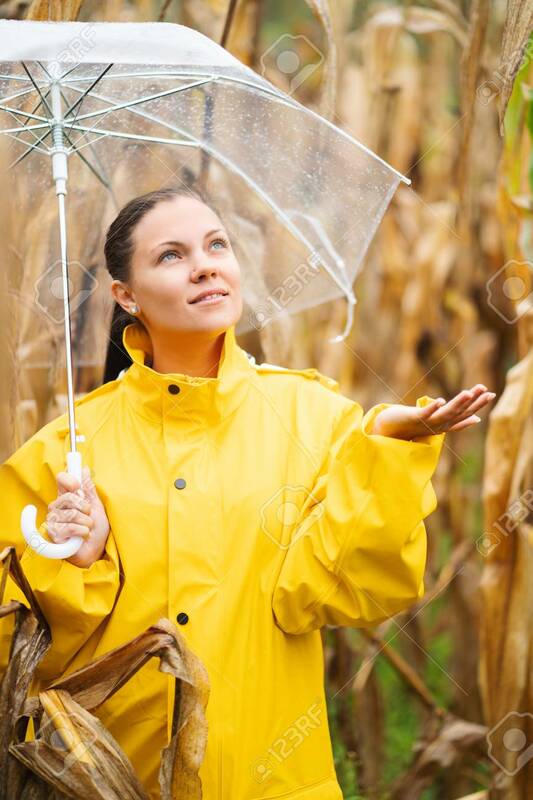 Banco de Imagens - Pretty caucasian young girl in yellow raincoat standing in corn field with transparent umbrella. Woman checks if it is raining. Autumn day concept. Pretty caucasian young girl in yellow raincoat standing in corn field with transparent umbrella. Woman checks if it is raining. Autumn day concept.